There was no particular incident or condition that led to the pain. One morning I just woke up with neck pain in my neck. Within hours I had pain and numbness that radiated down through my arms and fingers. I’ve been seeing a chiropractor for years, so my initial instinct was to do chiropractic. When that didn’t work, I tried steroid injections. When that didn’t work, I turned to surgery. The pain in my neck and numbness in my arms led to an overall decrease in my quality of life. I lost a lot of arm strength – which was a big deal, since I am an avid exerciser and weight lifter. My neck pain also hindered my ability to do daily tasks like driving. It even hurt to sleep. My first course of treatment was chiropractic. Then I had three steroid injections. When neither of these provided any relief, both my chiropractor and my pain physician recommended surgery as the next course of treatment. 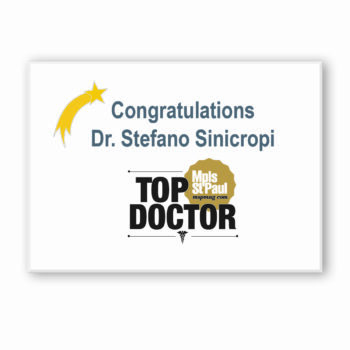 My chiropractor and pain doctor both recommended Dr. Sinicropi. He was also highly recommended by my family and co-workers (I work for Blue Cross Blue Shield). 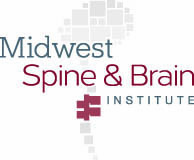 An Artificial Cervical Disc Replacement. After the procedure, the numbness and tingling in my arms was immediately gone. It was a tough recovery (as are all surgery recoveries), but my strength gradually returned. Less than a year after the surgery, I competed in a bodybuilding fitness competition. I don’t necessarily regret trying non-surgical treatments before surgery, but part of me wishes I had done surgery sooner because of the immediate relief it provided. My advice is this – don’t let your fear of surgery reduce your quality of life. 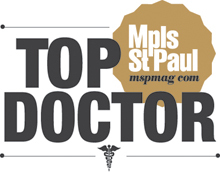 I would completely recommend Dr. Sinicropi to anyone needing spine surgery. Everyone on his team that I dealt with during the course of my treatment was kind, knowledgeable, and made me feel confident that I was getting the best care possible.